Girls Wear Blue Too: What do you put on your skin? I've been quite wary of what I put on my skin for many years now and try hard to avoid harsh chemicals, and embrace more natural products. Today I'm sharing with you the lovely Aussie products I use on my skin. I have been using EllyB organics since 2008 Lel is lovely to deal with. 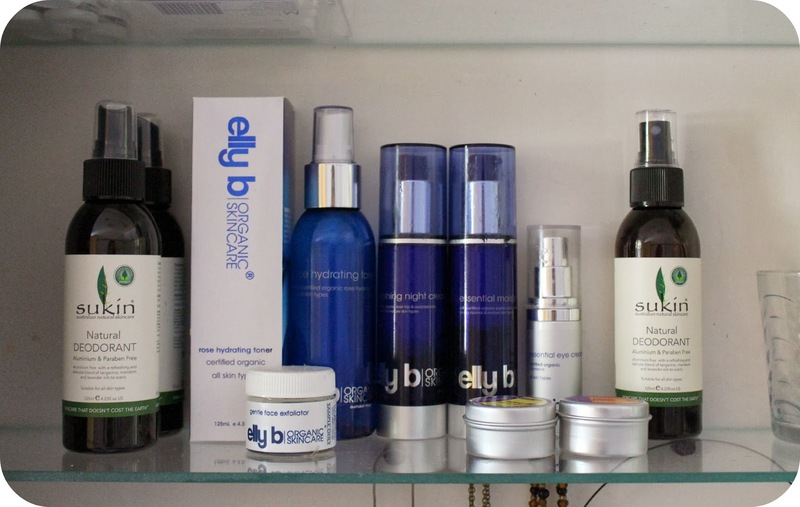 I use the Elly B essential moisturiser daily and several other products are in my regular, well its more a semi regular really, routine. My daily routine is simply to apply moisturiser and lip balm. I don't wear make up often at all, there might be one or two occasions a year, at most. In winter or if I am particularly tired I might go to a simple night routine with Lels Nourishing night cream, eye cream and rose hydrating toner. My Elly B products are my Essential indulgences, the beautiful natural scents are a big part of the experience for me. Soap from Beauty and the Bees. in Tasmania. Beautiful rich handmade soaps containing only natural ingredients. I usually buy one bulk lot a couple of times a year to save on postage, I cut the big bars up into smaller portions to use in the shower, I also have small bars in the laundry and by the kitchen sink for hand washing. My lip balm is from Beauty and the Bees too. 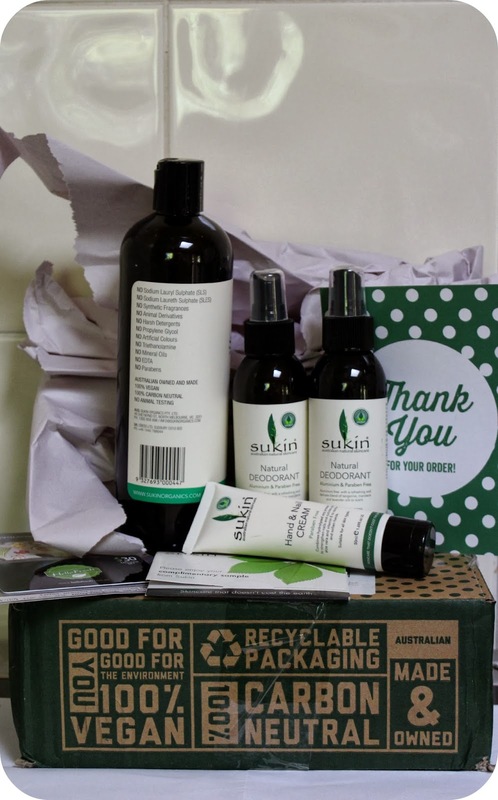 I have been using Sukin Organics shampoo and deodorant for about a year now. I usually buy it locally but recently I have been unable to get the deodorant so ordered online. I decided to give their hand cream a try too and was impressed that a trial size was available. I love it by the way! Its a nice light one which is absorbed quickly and that makes it perfect to pop in a handbag or in my case to apply during the day as I go about my chores. At bed time often I use Elly B hand cream which is heavier and richer. I feel quite lucky to have all the products I use regularly made right here in Australia. The only other thing that makes a difference to how healthy my skin looks is drinking lots of water. Simple huh?! Admittedly I am not always good on the water consumption but I do notice the benefits of it when I make a conscious effort to consume more, and not only on my skin. This post is not endorsed or sponsored in any way, its just me sharing the things I use and love in the hope that I may expose someone else to something that works well for them too. Looking after your skin and or establishing some simple routines surrounding skin care can be a nice way to carve out some quiet pampering time that feels indulgent, a daily treat. It doesn't have to take a long time to treat yourself, help you feel more grounded and show yourself some love. 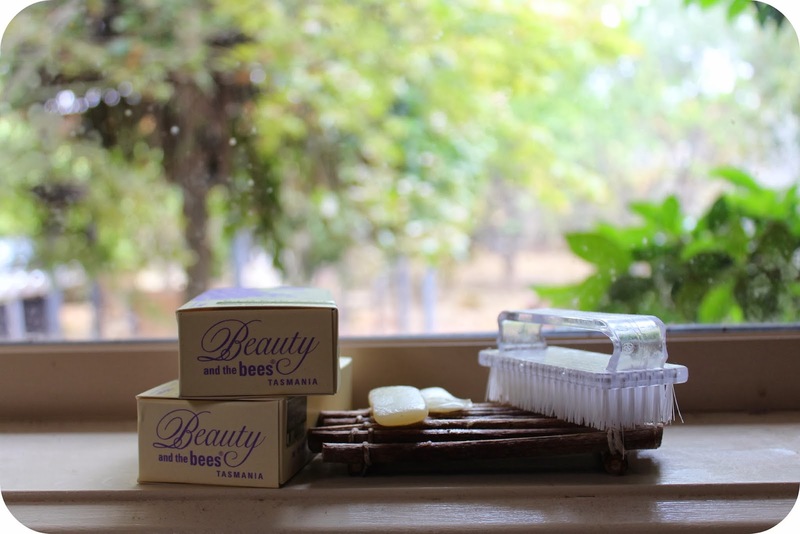 I use products from Beauty and the Bees too. Love the shampoos and soaps. Their service is great and friendly too. I gave one of the conditioner bars to a DIL who travels a lot. Now she uses nothing else. Convenient, no spills. Another DIL with not much money to spare was very happy with the products I gave her. Her favourites but not bought often. I find the shampoo bars etc to be very economical, last for ages. I was given several Sukin products recently but haven't tried them yet. I bought a sample batch of products from one of our DTE members and her deodorant is the best natural deodorant I have ever used. I hope she sets up her Etsy soon before I run out. Isn't it great that these products are Australian made? They sound good - hadn't heard of Elly B before!